If you're still looking for trips to plan for this summer and looking for the perfect getaway, I've been researching the perfect trip nonstop for months! I'm in mucho need of a vacay so doing my research has been my way of getting me through the months to (almost) this very moment. There's the typical trips you can think of taking which are still the best - cruises, coastal destinations and islands; but sometimes the best trips are the ones you wouldn't think of being the best, or even to places you never knew existed or would think of going to. We live in a huge world my friends - go out of your comfort zone and give some of these underrated destinations a shot - I guarantee they won't disappoint! Out of every Italian city I've had the chance to visit, Positano HAS to be my favorite (or close to it)! It's relaxing, laid back, absolutely gorgeous everywhere you look and still fairly underrated - so you can bet you'll get treated to that local experience. You can also easily access the other gorgeous towns off of the Amalfi Coast; Praiano is also a must see! While I've never been to Krawkow or Poland, it looks like one of the most beautiful European cities. As you likely know, OneRepublic is my all time favorite band and they visit there on tours quite a bit - which is where I actually realized just how gorgeous the Polish city is. From what I've read, there's so much history and beauty in the city that it's definitely a must-see! The city is fairly small and has a lot to see, which makes for a good 24 hour trip if you're traveling between European cities. I can't even begin to describe the beauty of the Grenadines... There's so many islands and places to go in the Caribbean and honestly, the places we're used to hearing of and that are common to go to on cruises, etc. are beautiful but they're becoming so tourist-y; Bahamas, Grand Cayman, Grand Turks, etc. That isn't to say that these aren't absolutely breath taking destinations, but my top Caribbean choice after doing a TON of Caribbean research is St. Vincent and the Grenadines! I've been reading so many amazing things about the Palm Island Resort and I think it's about to be a winner, friends! 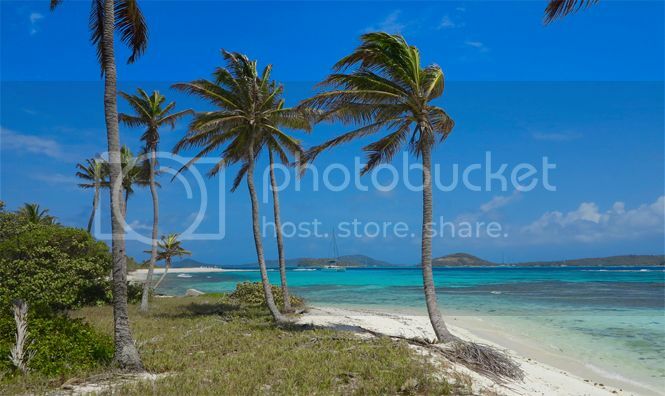 Everything about it looks beautiful and relaxing which is exactly what you'd expect from the Caribbean. Disney is awesome regardless of age; Miami is an awesome city to party in; the Gulf has gorgeous sandy beaches; but who'dathunk that St. Augustine could be so gorgeous?! I sure had no clue... I'm most familiar with the Orlando and Melbourne areas in Florida because my grandpa and step grandma's house is there, but St. Augustine isn't too far north of Melbourne and it's right on the east coast. The beaches are filled with white, soft sands and lots of beautiful Spanish influence that shows in the architecture. You can visit the St. Augustine lighthouse (which is gorgeous at night!) and one of my favorites; Anastasia Island. This gorgeous island is super accessible by taking the Bridge of Lions across the Intracoastal and the beaches are absolutely stunning! Yes - another Amalfi destination made my list! The Amalfi cost is my (second) favorite spot in Italy and it's solely because of how gorgeous, laid back and colorful the city is. Atrani is just east of Amalfi and it's absolutely breath taking. It's considered a village and it's nothing but peaceful, historic and colorful! There are amazingly beautiful historic churches that overlook the ocean and small piazzas that overlook the gorgeous, crystal clear waters. The most beautiful experience in Atrani is having dinner seaside and taking sunset walks down the beach - the small city lights bounce off of the water and it's absolutely stunning! 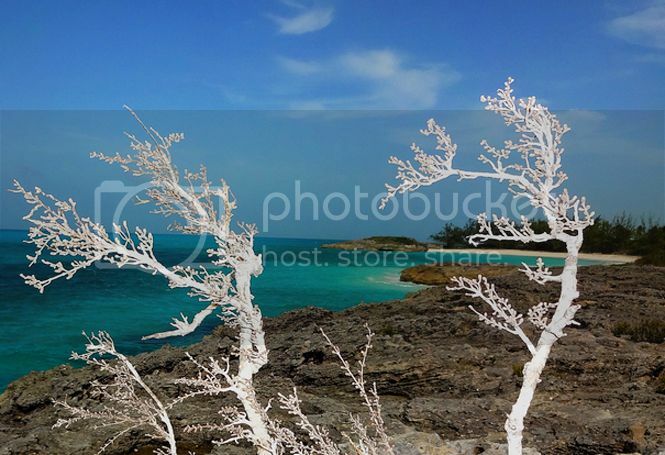 Before trying to find more secluded places throughout the Caribbean, I had no clue that the Exuma Cays even existed! With some of the clearest water and people-less beaches ever, this place is a MUST see! From what I've learned, there aren't many resorts on the chain of islands and Farmer's Cay offers swimming with pigs!! Too cute! This chain is fairly close to the coast of Miami and it's a large chain of islands; it's secluded, quiet and a slow paced sense of living which can be really, really amazing. This is definitely a must-see and it seems like it's still pretty much off the beaten path and not overly traveled, so get there while you can! Maybe it's just me, but a good majority of Central America seems like it's super underrated. Out of all of the many Central American countries, Costa Rica has caught my eye most and honestly, who could blame me?! Money goes a long way in Costa Rica as I'm finding out and honestly, with the beaches and places throughout this country that look oh so beautiful - it really makes it SO tempting and nearly impossible to not book an impulsive flight as I write this! Playa Uvita seems to be one of the most beautiful and un-crowded spots in the country and you can swim and snorkel right off of the shore at the beach. It's south of San Jose and you can almost always expect to catch a beautiful rainbow! 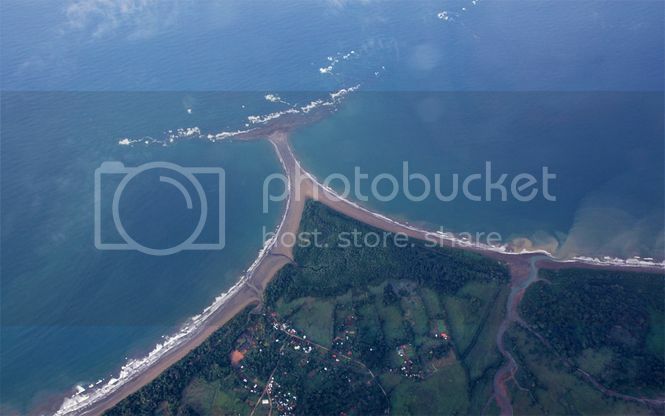 It's also fairly close to the Panama border - another gorgeous, off-the-beaten-path spot! This is a must see and from what I've read lately, it seems as if Costa Rica is a country that's going to be hard to not fall in love with. Do you have any underrated travel spots you want to travel to? I love how you picked off the beaten track places. I would love to go to Poland this summer! I'm not sure that those sites in Italy are under-rated, they are huge desination draws and so gorgeous! I got some good ideas from your other suggestions, thanks! All of these places look so beautiful! I travel to Disney a lot but really would like to see more of Florida as well. As a Floridian, I highly recommend St. Augustine!!! There's so much history up there and it's so beautiful! Some great suggestions! I wish I could travel this summer!! Oh, wow! All of these places are so gorgeous! I hope to visit Italy while I am in Europe this summer. These are great picks! 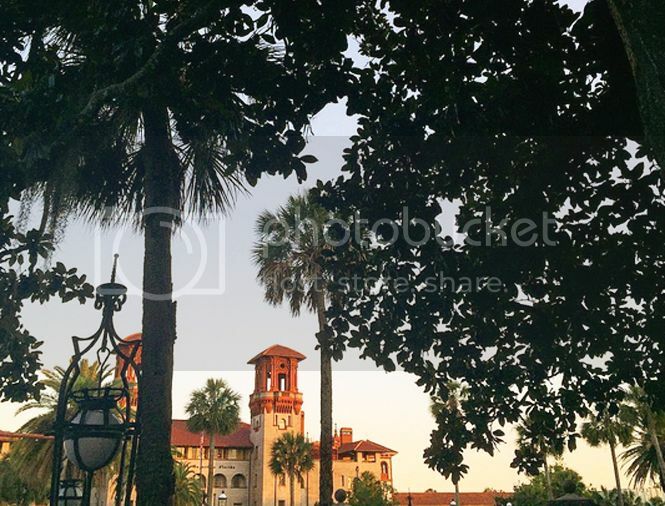 St. Augustine is one of my absolute favorite places! It's actually the oldest Spanish settlement in the United States, which is super cool, and all of the history that comes along with it is fun to learn about! I'd be down to head to any of these places ASAP! I've been dying to travel lately! You're fueling my wanderlust so BAD. I don't feel like I can wait until our honeymoon in November to travel. All of which I have yet to see, great list!! Thanks for sharing! I did not know that Poland had beaches, it makes sense when I think about it logically but I've always pictured it a cold wintery place. 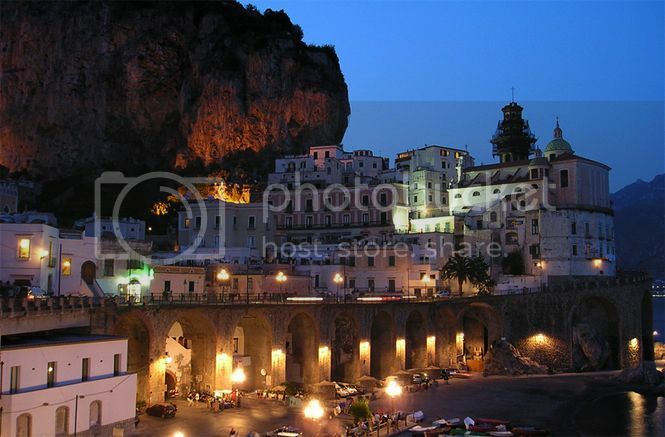 Amalfi looks gorgeous!! St. Augustine is definitely somewhere I want to visit. I would totally go to Krakow! In fact, I would definitely go to ALL of these places! Krakow has always been a dream vacation for me. Oh many- this post is giving me MAJOR wanderlust!! :-) I'll have to pin this one! Poland looks like it would be fun! Ive been to the bahamas twice and while I enjoyed it I found its just a lay back on the beach while I want more of a city vibe. I'm going to Europe this summer, so I hope to get a chance to travel to a couple of these places! These are such dream locations! All these places look amazing and a few are already on my travel bucket list. This is a great list! Italy is at the top of my must travel destinations. I feel like I could spend so much time there exploring everywhere from Positano to the Amalfi Coast. Maybe I'll run into George Clooney. :) I'm also curious to visit Costa Rica. It looks so gorgeous. I love how you chose places that aren't super common. 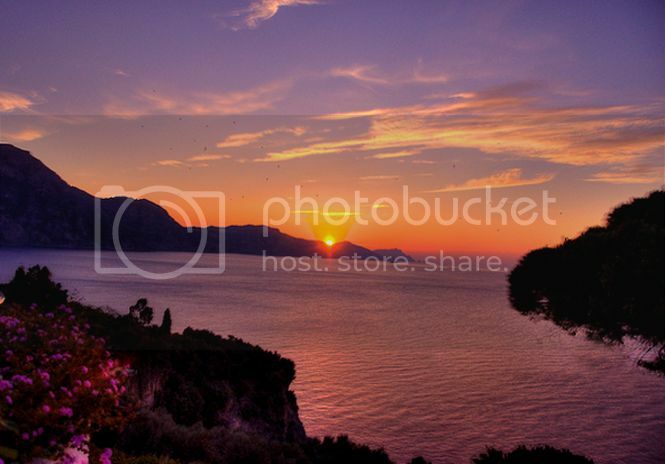 I've heard so many good things about the almafi coast in Italy that I think I should probably plan a trip there. St. Vincent and The Grenadines is on my travel bucket list! I would be happy going to any of these fabulous places! Great photos! So many great places! I'd love to escape to any of them! Everywhere looks beautiful. It definitely stirs up my travel bug. I've been to St. Augustine multiple times and love it every time I go. Great list to add to the bucket list! I think out of all of these, the one that sounds the most interesting at the moment is St. Augustine. Of course, I would love the European destinations, too, they're just a little more challenging to access since my lifestyle is focused mainly on North America and Asia. I really want to go to Italy and I want to visit all the pretty cities so this one has been added to my bucket list. My boyfriend went to Costa Rica in 8th grade and he's still obsessed with it. I've been wanting to go so bad to check out why he loves it so much. Def adding some of these destinations to my bucket list! I didn't know that some of these places are underrated, I honestly thought they were part of the top places to go to any time of the year. I would sure love to go to Italy one day and just enjoy the architecture and the rich history! I think all of these are on my list! I would love to travel one day! I wish I can go to all these places, by the way I like your swimming tops. I love the colors! Beautiful locations, Destinations and suggestions ad Your sentiments are mine exactly. I absolutely love to go and get lost in the beauty of this planet, enjoy it abundantly and get back home refreshed :) Underrated destinations are the bomb! I have such a travel bug right now! I'm dying to get out and go exploring. Positano is one of my favorite places too. All of these places look beautiful! Thanks for sharing. It is my dream to go to Italy, I heard of so many good things about it especially the food and the romantic ambiance. My sister's best friend lives in St. Augustine! Guess it's time for me to pay a visit! All beautiful places. I'll be happy to make it to Austin this summer lol (I'm in San Antonio) aHHH one day I'll have the money to take a real fancy vacation out of the country. I would love to go to all of those places! Let's start packing! I'm actually making plans to visit St. Vincent & the Grenadines, so it's funny you brought that one up! I can't wait! Poland looks really amazing. love that place! So gorgeous! 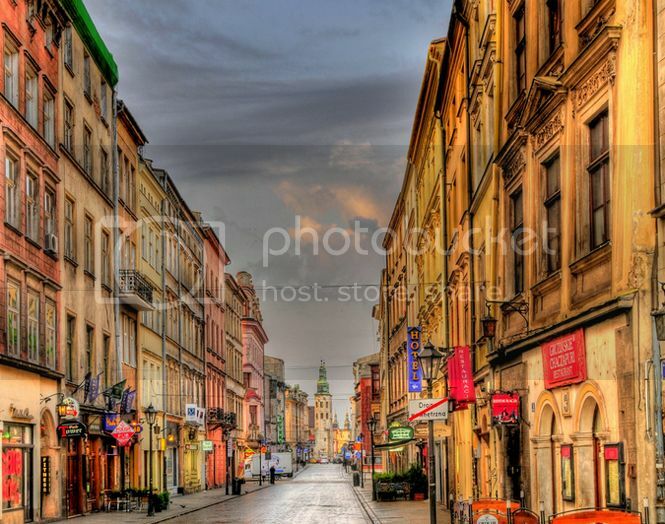 I will include Krakow, Poland on my list. I haven't tried visiting an unfamiliar place. The place sounds amazing. These are great! I didn't even realize Poland had a beach. I've heard great things about Positano. I would love to see these places, you are right, they are underrated. There are many popular places that are overrated but these places are worth to visit. Love this list! I wish I was doing something international travel this summer! 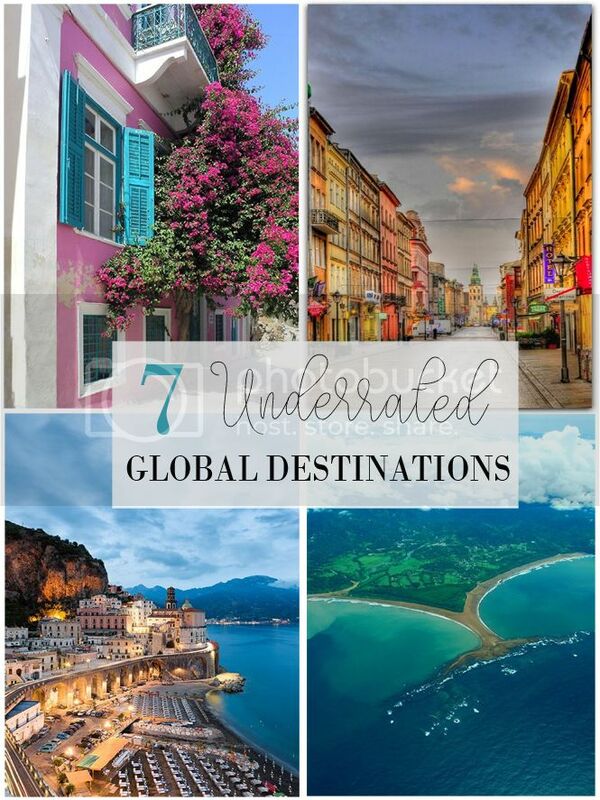 All of these destinations look amazing. I'm hoping to go to Florida for vacay this year! All of those places look like they would be amazing to visit. I love beautiful scenery and interesting architecture. Such a beautiful place to visit with my family. I'll gladly choose any of these destinations! I do prefer less-known places rather than the more touristy ones. Great list. I would love to visit any of these locations. I really love to travel!